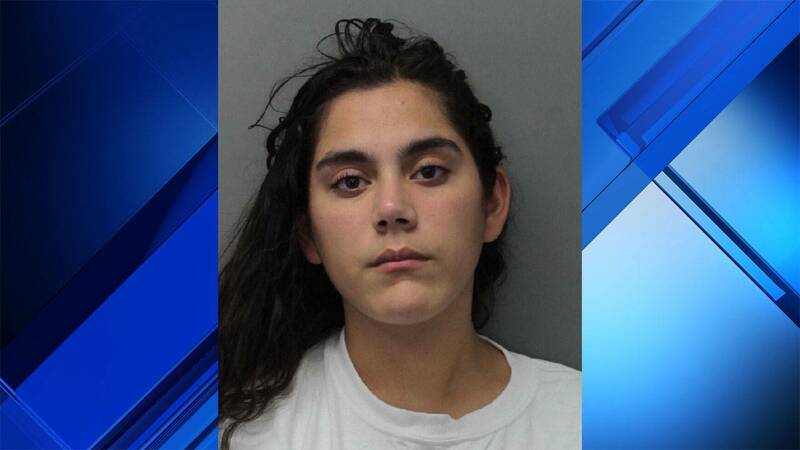 MIAMI - Initially accused of helping her boyfriend cover up the killing of her father, a Miami-Dade County teenager is now facing a charge of second-degree murder. Earlier this month, prosecutors charged Demar Turruellas, 18, with murder in the death of 63-year-old Evelio Gainza. The victim's daughter, Eveline Gainza, 17, had faced charges of tampering with physical evidence and being an accessory after the fact. Eveline Gainza pleaded not guilty to the murder charge in court Tuesday. She appeared in bond court Wednesday. "My argument was it's not my client who did this murder," Gainza's attorney, Jorge Viera, said. "It's clear based on the arrest affidavit that it's not her." Evelio Gainza's body was found Sept. 27 inside his home in the 1600 block of Southwest 141st Avenue after an out-of-state relative asked police to conduct a welfare check, police said. Eveline Gainza had told a neighbor her father was away in Cuba, detectives said. Eveline Gainza, 17, told detectives that she helped clean up the crime scene, police said. According to the Turruellas' arrest affidavit, Eveline Gainza asked her father to pick her up from her mother's home on Sept. 24 so she could retrieve some of her belongings. While Evelio Gainza was upstairs, Eveline Gainza snuck out of his home, took his car and returned with Turruellas, the affidavit said. Turruellas entered the home and shot Evelio Gainza unprovoked in the back multiple times, the affidavit said. However, Turruellas told detectives it was Eveline Gainza who pulled the trigger, police said. A detective testified Wednesday that a witness also claims Eveline Gainza told them she killed her father. "The state alluded to some video evidence. Does that show my client committing the murder? No. Does the video show proof that my client actually did the shooting? No," Viera said. Police said Eveline Gainza told detectives she helped Turruellas clean up blood inside the home using bleach and paper towels. According to the affidavit, Evelio Gainza's body was found in a second-floor bedroom, "concealed under multiple towels and bedding." Detectives said Eveline Gainza's father did not approve of Turruellas. The judge ordered she be held without bond. Viera said he will likely ask the court for an Arthur hearing in hopes the judge will set a monetary bond. A tentative trial date has been set for Feb. 18.